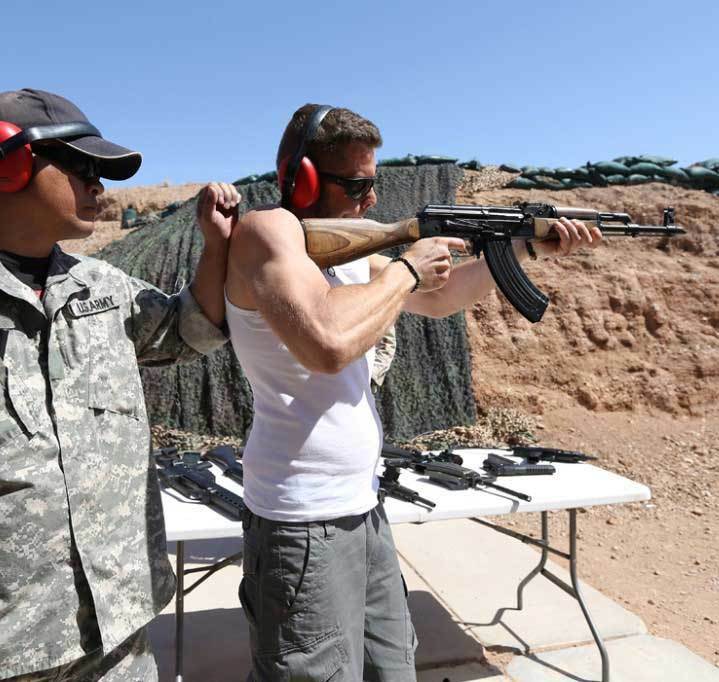 Our Ultimate Outdoor Shooting Adventure is a private outdoor range set in a stunning Mojave Desert landscape. 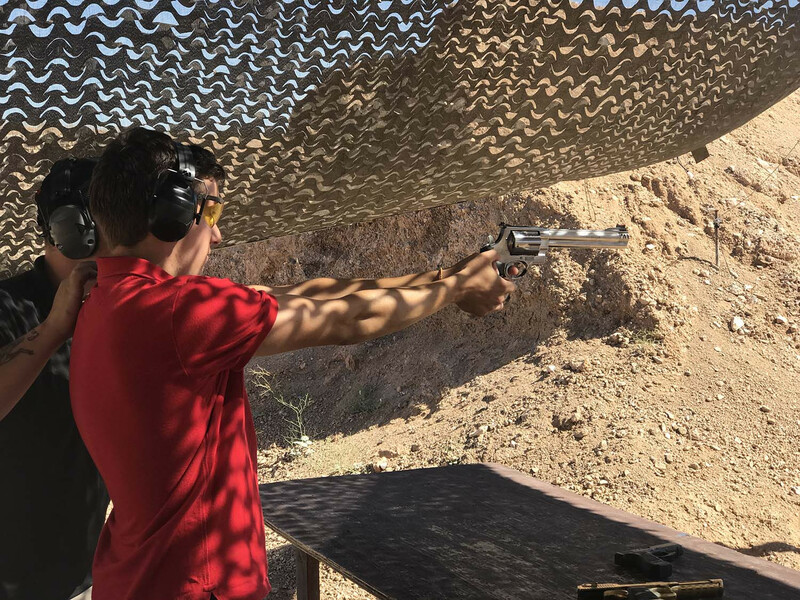 We separate ourselves from all other Las Vegas ranges with our unique ‘Desert Storm’ atmosphere and military style bunkers. 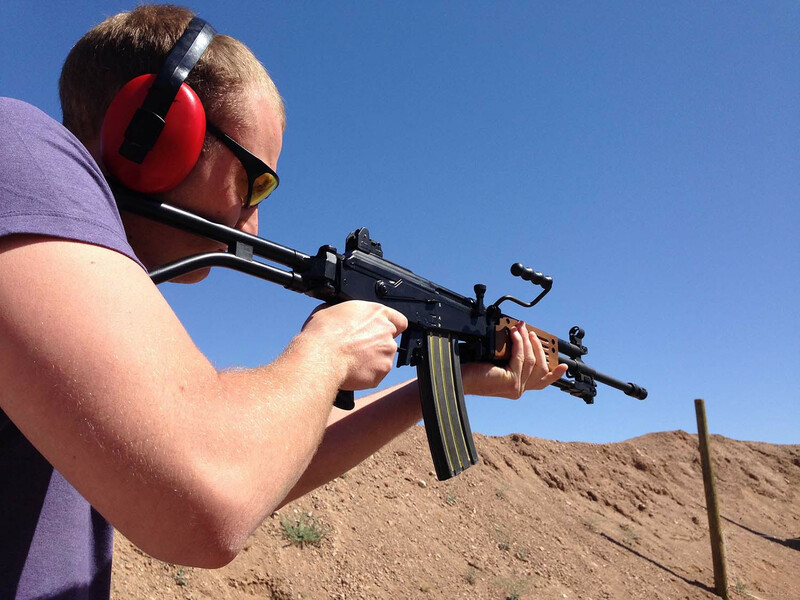 Our guests have the opportunity to fire a wide range of fully automatic machine guns and specialty weapons. 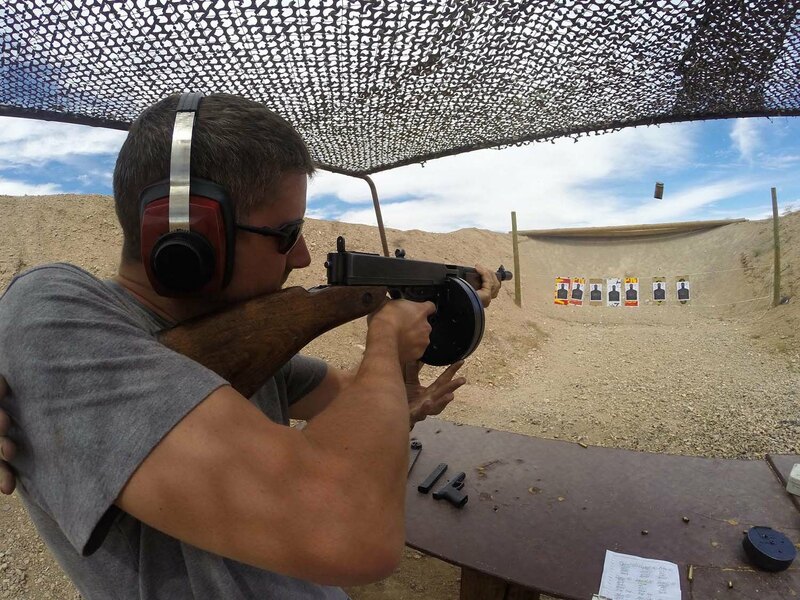 Compared to the short 3 round bursts you shoot at indoor ranges, At our range, you can shoot FULL auto on our machine guns. 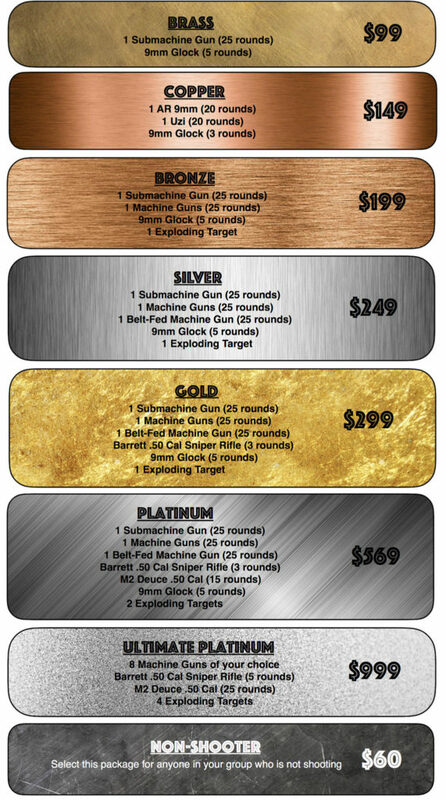 “Let ’em Rip!” Click here view all of our available guns. 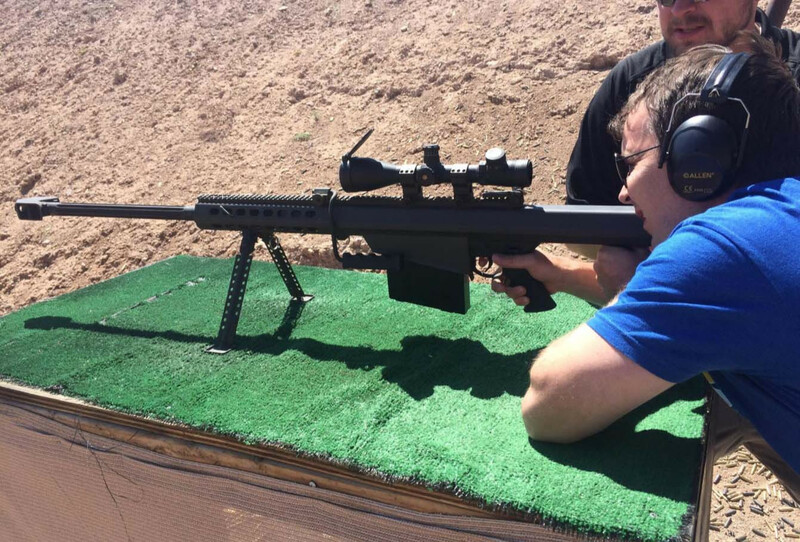 Our 50 Cal. selections includes the Barrett Sniper Rifle, the Browning BMG .50 Cal (‘the deuce’), and the Desert Eagle. We even have the actual firearms used in several Hollywood hits including Jumanji and Rambo II. 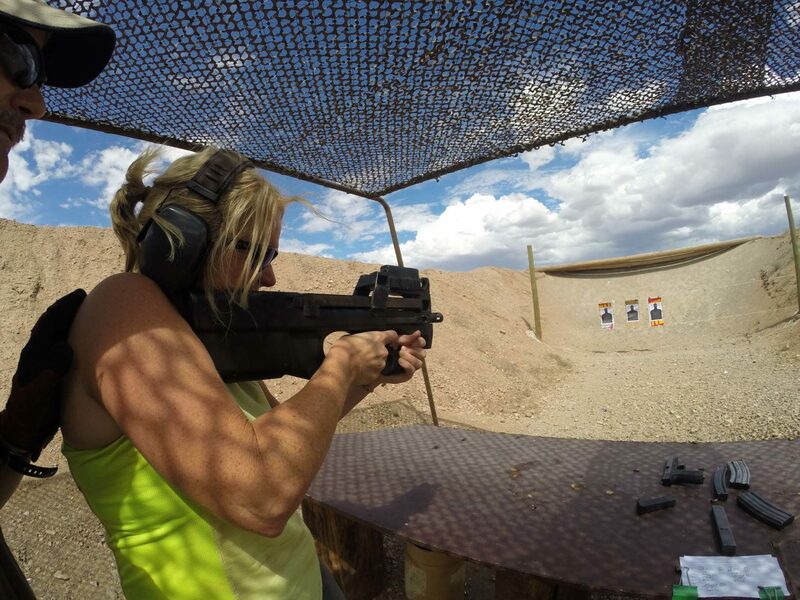 At our facility your group will have it’s own private range and certified ex-military firearms instructor. We operate as an exclusive guided tour so we don’t mind if you take your time and we encourage you to capture video and photos of the adventure. If you prefer, your guide will gladly act as your cameraman while you shoot. And to top it off, lunch is included inside the the World Famous Arizona Last Stop restaurant located onsite. You will be treated with the World Famous All American Hamburger, fresh cut fries, and a soda (vegetarian option available). The All American Burger is guaranteed to be the best hamburger you have ever eaten. The Las Vegas Outdoor Adventures is approximately 4 hours in length from scheduled pickup to drop-off back at your hotel. Helicopter and ATV upgrades are available. Please see our Helicopter Adventure page and/or scenic motorized ATV page. We recommend dressing for the occasion.